RUSH: Cedar Rapids. This is Ken. It’s great to have you, and I appreciate your patience. How you doing? CALLER: Hey, Rush, great to talk to you. Three generations of my family have been listening to your show, so very cool here. I’m just confused, Rush, on the establishment Republicans and Mitch McConnell’s play on Roy Moore. I mean, what is he doing? If it’s like the Franken situation and the worst-case scenario is, you know, they boot Franken and the governor appoints a new Democrat, how is that any different with Roy Moore? Why are we risking a write-in, you know, campaign or something of that nature when we could just let Roy in, let the people of Alabama have their say, and do an investigation? If he’s a creep, boot him and the governor puts in a new Republican. It doesn’t make any sense to me. RUSH: You know, that has the makings of an actually quite good question. What do you think the answer is? Because there is an answer to that. CALLER: Well, I don’t know. But, I mean, you think Bannon has something to do with it? RUSH: No, no, no, no, no, no. Well, well, yeah, yeah. RUSH: Yeah, yeah, yeah. That’s not the main reason. That’s an ancillary reason. Mitch McConnell gets to send the signal to Steve Bannon, “Oh, you really think you’re gonna get rid of me, buddy? Ha-ha. Watch this.” But there’s another reason why. They would be doing this even if Bannon hadn’t chosen Moore, even if Steve Bannon hadn’t identified Moore as his guy. And the answer is what it always is: The Republicans are scared to death of the media. And so at the first allegation of Roy Moore, whatever he is, the Republicans have been so condemned for so long that I think they’ve got PTSD about this. I think they think that everybody believes what the media has said about Republicans for years and years and years. So they think they have to speak up often and loud to try to convince voters that they’re not anti-woman, anti-gay, anti-immigrant, anti-black, anti this. So the Roy Moore situation happens, the news is reported, and the Republicans think they have to be first to the microphones to condemn it in order to show the media is wrong about who they are. It’s totally defensive. This move is entirely defensive. It’s aimed at trying to dispel conventional wisdom about Republicans that they think the media has succeeded in convincing people. CALLER: It’s just disappointing, Rush. You’d think these guys would learn that, you know, from all the people we’ve put in office, from all the voting that’s gone down, all supported for Trump and everybody else, you’d think these guys would learn to stand up to what the media keeps pushing. It just goes to show how influence these guys in the media actually are. 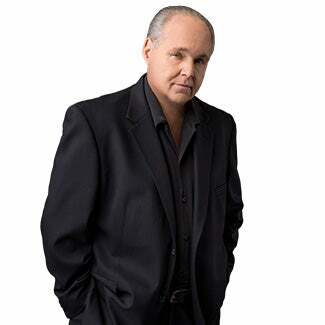 RUSH: They don’t want to be at war with the media. They don’t want to be at war with the media like Trump is. They want to get along with the media. We’re talking establishment personalities here. We’re talking about people that live and work in Washington and no matter what party they’re from, they all want to work together, get along with each other. They want the media to like them. They don’t want to be at war with the media. They really don’t even want to be at war with the Democrats, if you get right down to it. The whole notion of being on offense and attacking is not what they want. And so it could be Roy Moore; it could be anybody else. When there are allegations of this kind of thing that surface, the Republicans are gonna be the first to condemn it, thinking that if they don’t, that voters are gonna think they support it and that all Republicans are like Roy Moore. The simplest, most concise answer to your question is this is what happens when you are constantly playing defense. These are tweets from Roy Moore. You have to say he’s got a point. Al Franken admits it. There’s a photograph. He doesn’t dispute it at all. And Mitch says, “We need an ethics panel.” Everybody knows that’s a year. A year! And an election year to boot, an ethics panel? That means nothing’s gonna happen to Franken. And yet with no evidence and in fact a bunch of now false allegations against Judge Moore, Mitch says he’s gotta quit, we gotta not count his nomination. If he’s gets elected we’ve gotta decertify the election. And he’s got a point. By the way, grab sound bite number 8. There’s a story — you know, I can’t explain this other than to chalk it up to instincts. I’ve had people in the studio here, “How come you’re not mentioning the mall, the mall, that’s what made me convinced he was guilty, when the mall banned him.” And for some reason it just didn’t make sense to me. Folks, I so distrust everything I see in the media at first. That’s my starting point is not to believe any of it when it’s about us. I don’t care what it is, I don’t believe it, the first shot out of the gun. So here is Barnes Boyle. He is the manager of the Gadsden, Alabama, mall that supposedly banned Roy Moore. And this was on WBRC-TV Tuesday in Birmingham, Alabama. BOYLE: Sure, it’s part of the job. Yeah, we did have written reports and things. So — but to my knowledge, he was not banned from the mall. RUSH: So, “Yeah, we had reports that he was running around chasing skirts and stuff, but not to my knowledge he was banned from the mall.” Well, how much of the story has been based on the fact that he was? And then we have the parking lot behind the diner that doesn’t exist. And now we’ve got the likely forged signatures on the yearbook. It turns out that one of assistants signs his name a lot of times, and she puts her initials, D.A. When she signs his name, she draws a little slash and puts D.A., and everybody thought that that was Roy Moore being an egomaniac signing his name, slash, district attorney. That’s not. It was his assistant or somebody else signing for him and signifying that she was signing and not him. And the accusers, one of the accusers is saying, yeah, yeah, he signed it, look, he’s such an ego freak he put D.A. next to his name for district attorney. No. It means he didn’t sign it, your yearbook. 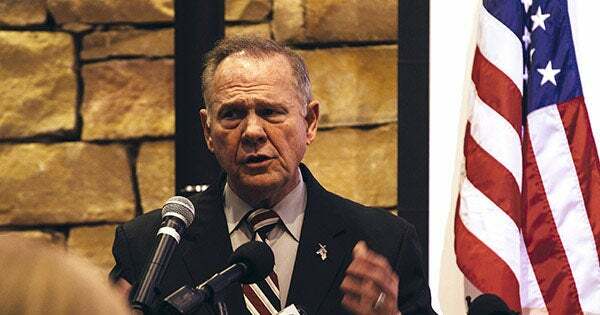 RUSH: Now, the Roy Moore situation, the accuser, one of the accusers is Beverly Nelson. On her divorce dismissal Moore’s assistant, Delver Adams, put her initials D.A. next to a signature stamp that she used for Moore, stamped the signature, and she put her initials. Her name is Delver Adams to signify that she had stamped the signature and it wasn’t his. The D.A. in the yearbook looks like the divorce decree. Beverly Nelson in this yearbook, it looks like the same thing. She’s out there claiming that Moore signed the yearbook and so forth but in the yearbook it’s the same stamp with the D.A. next to it. Moore presided over Beverly Nelson’s divorce from her then husband in 1999. She failed to mention this at the press conference. RUSH: Eric in Ambler, Pennsylvania. Welcome, sir. Great to have you here. CALLER: Thank you so much. It’s good to talk to you and I’m glad to get there. I’ve got a serious topic I want to speak about with Judge Moore, a little bit different take than what most people have been talking about. I had a stepdaughter. She injured her neck when she was 14 years old and was not allowed to take physical education classes after that but had to go to the person who was considered as the athletic trainer of the school. And one day while he had her on the table, he stuck his tongue down her mouth, and he grabbed her breasts and felt her up. She never said a word about this for four years and finally she came home right before her mother and I got married, and she told her mother about what had happened. Her mother went back to the school, talked to the superintendent, “Well, it’s her word against the teacher’s word.” So nothing. Well, this went on through the years. She had good days, she had bad days, she’d take two steps forward, three steps back, two steps forward, two, three steps back. Never could get control of her life. And at age 48, she took her own life. She never regained from it. Now, the point of this call is that what about these women who are claiming that Judge Moore did similar type things to them? How have their lives been? Have they been picking themselves out of the sewers every other day and trying to make something of their lives? You know, it’s easy to just come forward if you always say it’s the seriousness of the accusation. So, you know, we lived through counseling, sitting around a table talking for hours and hours and hours and hours to try to help her through this. And she could never could regain her own dignity. It was taken away from her. RUSH: — injured and had to get sort of her phys-ed training from the trainer because she couldn’t participate in actual class. RUSH: So she was alone with this guy. RUSH: And you’re saying she committed suicide at 48, and she really never recovered from it, in terms of her self-esteem and dignity, right? RUSH: So what you’re asking is, are any of the women leveling similar charges against Judge Moore, were they similarly affected? CALLER: My point is that the press could easily gather information about them, but have they looked into their past to see what — if a girl was sexually assaulted when she’s 14, she doesn’t get over that. RUSH: Well, but they’re not gonna do that. CALLER: Oh, no, certainly, but they should. That’s who’s gonna be responsible. CALLER: No. I mean, she would go for a period of time and just — she was a registered nurse, and she would be outstanding and all of a sudden her life would fall apart again. RUSH: Right. Did she ever get married? RUSH: Yeah. And so are you inclined to question these women’s stories because of what you saw in your own family, that you’re not necessarily seeing any signs of in these women and so you’re maybe doubting them? CALLER: Bingo. You got it. CALLER: Yes. You’ve got it, right there. And, you know, it’s easy to come forward, “He did that.” And, you know, that’s that. But what is their lives — how they live their lives? RUSH: Well, the one thing that we’re told — I mean, look, you’ve got a point here, because we are told that this kind of abuse and taking advantage of young girl at that age, 14, does have lasting effects. RUSH: We’re told that — there’s enough evidence that the quote, unquote, experts tell us this, it’s one of the things among many that’s very bad about it is that the long-term negative impact it has on the victims. RUSH: Now, one of the women that appeared with Gloria Allred this week was unloading tears throughout the entire appearance. She even had tears in her nostrils. I saw that referenced in a news story as evidence that they were real. Well, that’s a tough thing. That’s gotta be even tough for you to call here and talk about that. It’s a legitimate question too. People want to see evidence in allegations like this. I mean, I guarantee you people that are gonna vote for Roy Moore want to know whether this is true or not. Others don’t care whether it’s true or not. They just want it used to get rid of him. But people that are gonna vote for this guy or intending to would like to really know if this stuff’s on the up and up or not. They didn’t care about Paula Jones or Juanita Broaddrick, I guarantee you. That’s his point here. When there’s no political point to be made, like they purposely ignored Juanita Broaddrick and pooh-poohed her allegation that Clinton raped her, and Paula Jones is just the result of what you get dragging a dollar bill through a trailer park. They’ve politicized so much of this stuff, Eric, that it’s difficult to ever get the really down to the truth of it. But I really appreciate your call. I understand your doubts. I totally understand the way you’d be looking at this.